These corpse bride and groom costumes are ideal for Halloween fancy dress parties. 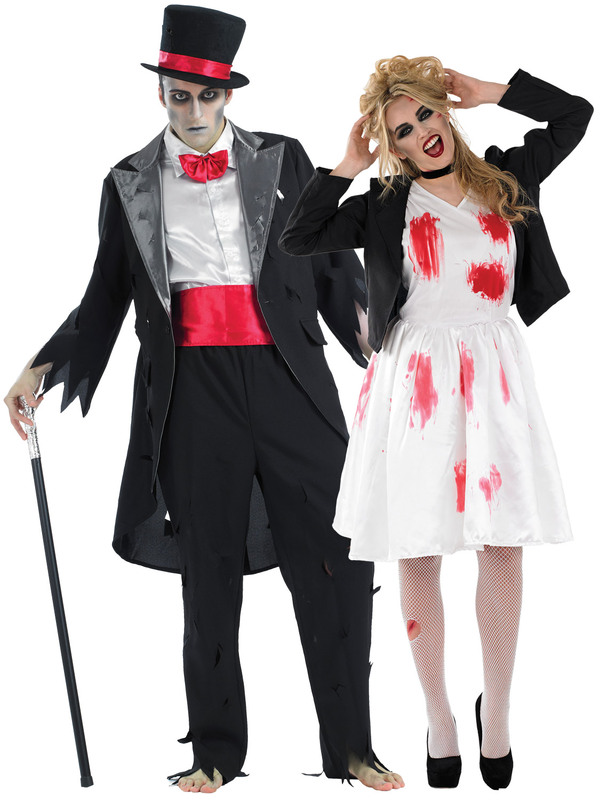 "Dead Rock Chick Bride" includes a white knee length dress with a satin style A-line skirt with attached petticoat and red blood stain detail. 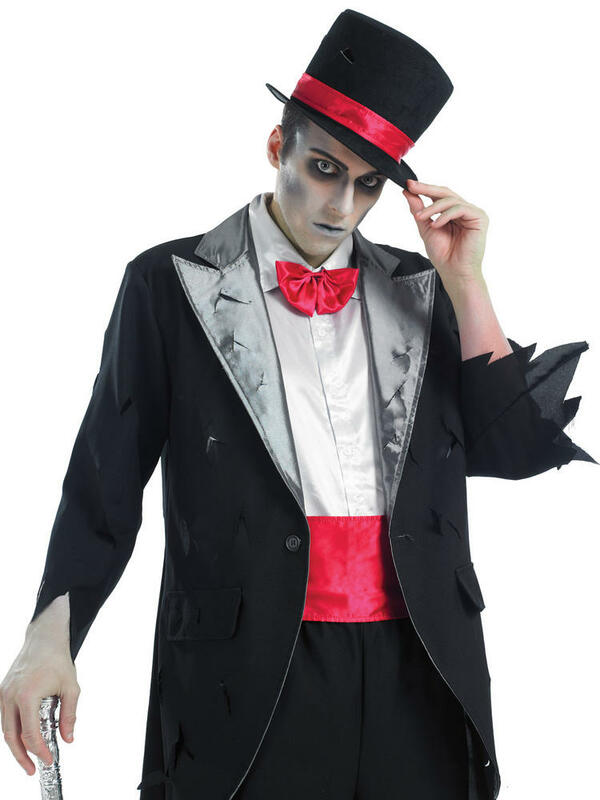 Also includes a cropped black jacket and a matching choker. 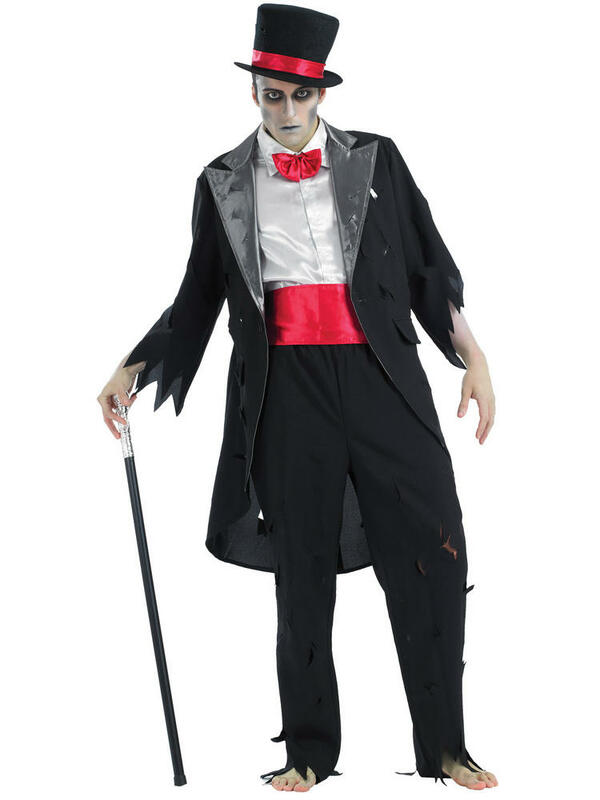 "Corpse Groom" includes a black tailcoat jacket with a white satin style shirt and tie insert and a red cummerbund. Also include a pair of black trousers with elasticated waist and a top hat.